Unpredictability tends to be the nature of emergencies. Unfortunately, you cannot always anticipate when your heating and cooling system may need repairs or maintenance. While in some cases it may be possible to go a day or two without heat or air conditioning while only suffering mild annoyance and discomfort, in other situations it can be vital to your safety to have access to functioning temperature control inside your home. Extreme hot or cold that comes along with summer and winter months respectively can be dangerous. When your heating or cooling breaks down without warning, you need someone who can help you fast. Heating and Cooling Repair North Bay offers 24/7 emergency heating and cooling repairs for our customers to ensure you have assistance whenever you need. Even when no one else is available you can count on our technicians to come to your aid. We will quickly restore your heating or cooling to full performance for an affordable cost. It's about more than providing you with 24/7 emergency heating and cooling repairs, it's about making sure they are done promptly and effectively. We know how important it can be to restore your heating and cooling within a short time frame, and that is why we waste no time in dispatching a technician to your location. Once our HVAC experts are on site, they begin assessing and diagnosing the problem right away. With years of training and professional experience, they are able to locate the source of the problem faster and more accurately. When we know what is wrong with your heating or cooling system, we can get to work on delivering the repairs or replacements that you need in order to be able keep your home comfortable and safe. It can be a stressful situation to deal with an unexpected HVAC problem, but the team at Heating and Cooling Repair North Bay have you covered. 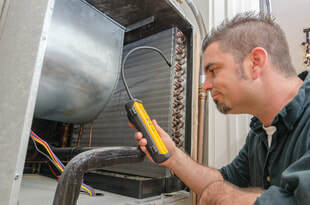 When you call a professional HVAC service for assistance with repairs or maintenance, you place your trust in the company, the skill of their technicians, and their workmanship. You expect to receive lasting solutions that will prevent further heating and cooling problems in the near future, and that is exactly what you should receive. The last thing any homeowner needs is to find themselves with a heating and cooling issue that requires emergency repairs multiple times over the course of a year. When you call Heating and Cooling Repair North Bay, we come and make sure that the job is done right. 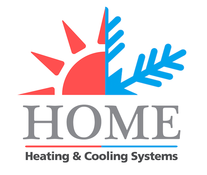 We know the importance of having access to reliable heating and cooling, especially during summer or winter months when temperatures can reach extremes. We make it our mission to provide our customers fast, dependable, and affordable 24/7 emergency heating and cooling repair services. Whether the problem is your ventilation, furnace, boiler, or thermostat, we'll get to the bottom of it and make sure everything is working as it should be.